Brad Pitt v Angelina Jolie: Who's the bigger star? Together, Brad Pitt and Angelina Jolie formed a blazing supernova among Hollywood stars, but now that love is officially dead and the ultimate celebrity couple has split, we're about to find out which half of the Duo Formerly Known As Brangelina shines the brightest alone. They spent so much time melting the world's hearts with the sheer heat of their shared romance that's it easy to forget one of them is actually a lot more famous than the other, and one look at these facts and figures makes it pretty clear who's the frontrunner in the fame game, but there's still a way for the underdog … pfft, who are we kidding? They're both still winners by anyone's measure. Even so, let's see where they stand. Remember the scene in Mr. & Mrs. Smith when Jolie's undercover assassin alter ego makes a weirdly big deal about the curtains she's just installed? Well, in case it wasn't already obvious, that's kind of a metaphor for this whole thing because when it comes to acting careers, the decorations count for everything. Jolie's trophy case boasts three Golden Globe statues—for her work in 1997's George Wallace, 1998's Gia, and 2000's Girl, Interrupted—and a Best Supporting Actress Oscar and SAG Award for her wild portrayal of the sociopathic Lisa in the latter. 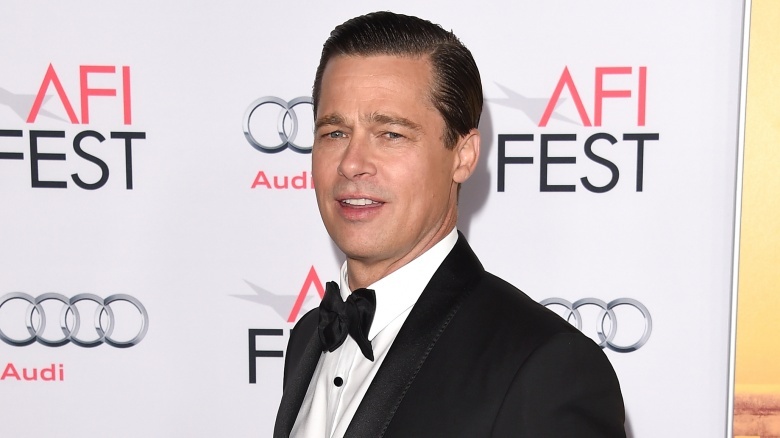 Brad Pitt's no awards season slouch, of course; he's got his own Oscar and a BAFTA for his part as a producer of the 2013 Best Picture winner 12 Years a Slave, a Golden Globe for his supporting role in 1995's Twelve Monkeys, and an Emmy for his work as an executive producer on the 2014 HBO drama The Normal Heart. Advantage: Neither. Either one needs a prize shelf built with secondary support beams just to hold all their shiny bits. They're pretty much even stevens in terms of awards bragging rights. It's Jolie's accomplishments outside of acting that really set her apart from Pitt. Her humanitarian work predates their relationship, as she was named to a Goodwill Ambassador position by the United Nations in 2001, after visiting with Afghan refugees in Pakistan. (The same year, she also established a relationship with the nation of Cambodia, which would eventually give her secondary citizenship for her conservation efforts there—and more importantly, it's where she adopted her son Maddox.) She remained in that role until 2012, when she was promoted to Special Envoy for the UN High Commissioner for Refugees. 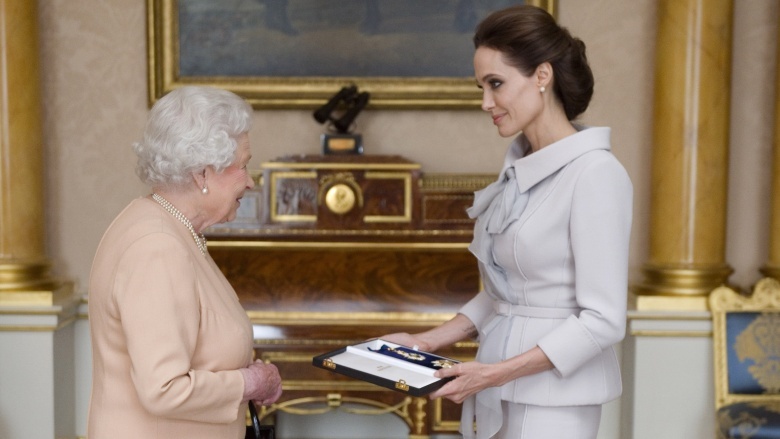 Jolie was also recognized by Queen Elizabeth II with an Order of St. Michael and St. George and honorary damehood for her many humanitarian efforts in 2014, the same year the Academy of Motion Picture Arts and Sciences granted her the Jean Hersholt Humanitarian Award. 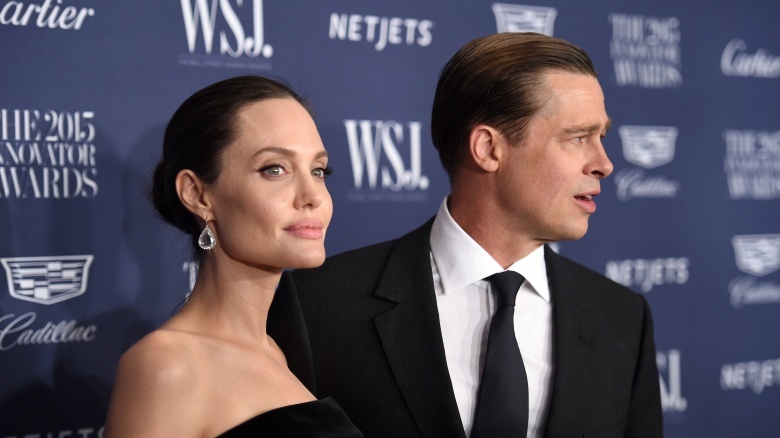 To be fair, Pitt did participate in many of Jolie's overseas efforts over the years, and his name is right there in the title of the Jolie-Pitt Foundation they started together in 2006. Most notably, he launched the Make It Right Foundation in 2007, and after the devastation of Hurricane Katrina left New Orleans' economically depressed Ninth Ward in ruins, he courted investors to rebuild the neighborhood with sustainable materials in over 100 tiny houses. Advantage: Jolie's been seen with her boots on foreign soil as often as she has with her heels on glitzy red carpets. She's devoted time and effort to wildlife conservation, international child protection and education, and women's rights across the globe, and while Pitt's participation doesn't count for nothing, Jolie's definitely got the weightier name within the international philanthropy community. When it comes to paychecks, Pitt's totally got the upper hand—although whether that's a reflection of Hollywood's gender wage gap is a subject for another article. Pitt makes an estimated $31.5 million a year, while Jolie is said to bring in roughly half of that. Even their first shared starring vehicle, Mr. & Mrs. Smith, had a significant rumored pay discrepancy, with Pitt allegedly pulling $20 million and Jolie collecting just $10 million for equal screen time (neither of which is shabby, of course). Jolie's had some other significant paydays of her own—she made a whopping $20 million for 2010's Salt and The Tourist, and commanded $15 million three years later for Maleficent. 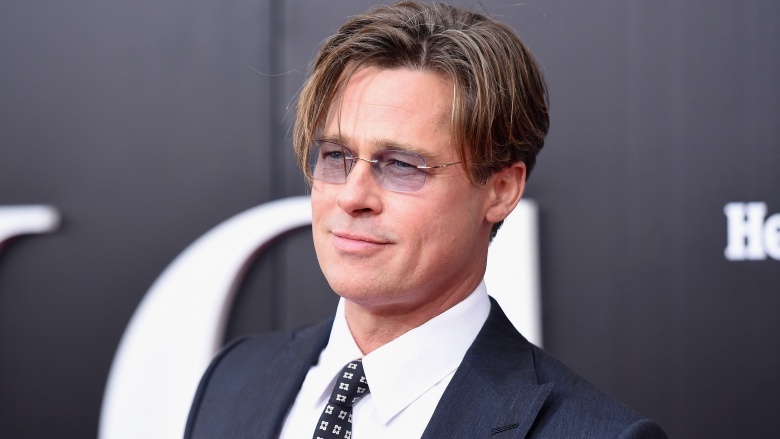 But Pitt was rumored to make as much as $30 million for 2001's Ocean's Eleven in front-end salary and backend revenues, and his career boasts plenty of $20 million paydays. His biggest financial boon, though, comes by way of his Plan B Entertainment production company, which has added another avenue of financial gain from films like like World War Z and The Big Short. Most recently, his company snagged a cool $60 million in a deal with Netflix for its adaptation of Michael Hastings' political satire The Operators: The Wild and Terrifying Story of America's War in Afghanistan, in which he also stars as General Stanley McChrystal. Advantage: Jolie's loot is impressive and remains out of reach for most other actresses, but when Pitt gets a spot in front of the cameras and a seat at the production table, it's a cha-ching city. Jolie's most successful film to date is Disney's Maleficent, which earned a whopping $758.5 million worldwide, while Pitt's biggest earner was World War Z, which took in $540 million across the globe. WWZ is Pitt's only picture to cross the $500 million threshold, but Jolie's got the three Kung Fu Panda movies to add to her column. All tolled, Pitt's movies have made almost $7 billion worldwide, while Jolie's pics are closing in on $6 billion earned in all. Interestingly enough, Jolie's reported box office average is just a hair higher, at $68.1 million, while Pitt's is around $67 million. Another minor difference is the fact that, of their top 10 most successful movies, Jolie has three that featured her as the singular central lead (Maleficent, Lara Croft: Tomb Raider, and Salt), while Pitt's got two (World War Z and The Curious Case of Benjamin Button). As a filmmaker, though, Pitt's shown much more ticket sales savvy than his estranged wife: his recent producer wins include Inglourious Basterds, Moneyball, and The Big Short. Meanwhile, Jolie's had some trouble making her directorial efforts draw an audience. Both 2011's In the Land of Blood and Honey and 2015's By the Sea, the latter of which marked Jolie and Pitt's long-anticipated onscreen reunion, failed to take flight. Her 2014 historical epic Unbroken was significantly more successful than her other stints behind the cameras, nearly doubling its production budget in domestic sales. Advantage: Jolie, but it's a squeaker. Whenever she's not behind the lens, Jolie tends to take on projects people are willing to trek out to theaters to see—and she does it with just a touch more consistency than Pitt. Jolie has made so many mic drops over the course of her recent career that her influence simply cannot be overlooked. She's whip-smart about the fame game, and there's plenty of proof. Consider the time when he penned her own harrowing op-eds in the New York Times about getting a double mastectomy and then a hysterectomy, after managing to avoid the paparazzi long enough to actually have these treatments done. Think of the way she started capitalizing on the tabloid value of her inner life—like photos of her newborn children or wedding dress—to turn that into easy money made for charity. Hey, even the way she earnestly made fun of herself for becoming an Oscars meme was headline-worthy. Pitt, meanwhile, tends to keep a low profile with the media instead of using it to his advantage. Advantage: Jolie. By a mile. Both Jolie and Pitt earned an incalculable, but still obvious, amount of their initial fame based on their devastatingly good looks. Both have shown off their bodies in roles—consider the low waistline of Pitt's bottoms in 1999's Fight Club or his extra-toned chest muscles in 2004's Troy, or the hovering pans on Jolie's exposed figure in 2007's Beowolf and 2008's Wanted—and are considered some of the world's most attractive humans. Advantage: They're both hot, and they both know it, but Pitt gets the advantage as a two-time "Sexiest Man Alive." Jolie nabbed a massive $10 million ad deal to prop Louis Vuitton (hence why she seems to always have one of the fashion house's bags in hand). 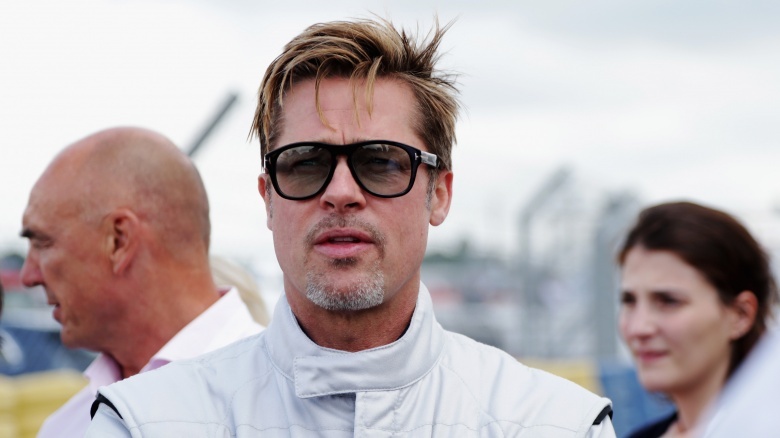 Pitt, meanwhile, scored $7 million to make a laughably awful commercial for Chanel No. 5 and added another $3 million to his stacks for a Cadillac ad that—get this—only ran in China. Advantage: Pitt might be the more frequent flyer in the ad lane, but when Jolie does it, she goes BIG. It's really close here, guys. Jolie's got some serious mainstream muster, thanks to her fascinating image overhaul from "that weird girl who made out with her brother on the Oscars red carpet" into that rare celebrity who actually uses her fame for good and whose action heroine status is very, very well established. People can't seem to look away, and not just because of her unique beauty; she's smart and strategic and makes it worth the watch. That said, Pitt's been Mr. Popularity for ages. It's not just that he's always been chummy with some of Hollywood's chillest A-listers (hi, George Clooney), or even the fact that he has his name in a pop-country song (Shania Twain's "That Don't Impress Me Much"). Jolie might be able to run a room by talking about important international or health issues, but people will gravitate toward Pitt to hear him read the phone book. Pitt was already fully established before he and Jolie started all the Brangelunacy 11 years ago, and that's what gives him the win here. He got here first. It's as simple as that.